Do not cover where can you buy acyclovir cream treated skin areas with a bandage or..
Dr. James Swisher, inspired by the life of Daniel Morgan, wrote an engaging new biography, Daniel Morgan An Inexplicable Hero, which is being published this year posthumously by his son and family. Morgan was a giant in every sense of the word. 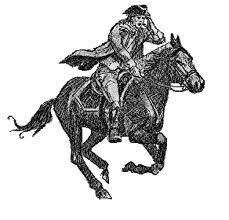 He participated in many critical events of the American Revolution (The Siege of Quebec, Saratoga, and Cowpens). He transcended his humble beginnings and earned the respect of his compatriots and his enemies. Cons work on a macro level, too. It’s not that difficult to wholesale a lie. Bernie Madoff did by persuading investors he was realizing mathematically impossible investment gains. Only there were no investments. He used investor money to pay off other investors. He had everyone believing he had a golden touch. It worked until he ran out of other people’s money. Sort of like socialism, it was all a fairy story. America has the necessary components: a dedicated minority determined to sell a myth and a larger population mesmerized by promises of a perfect society (and lots of free stuff). 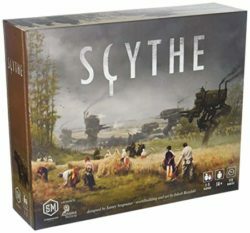 And now for something completely different - a steampunk/dieslpunk alternative history boardgame. 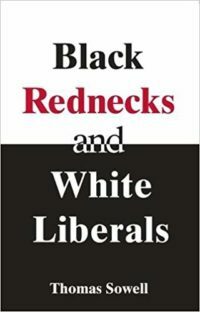 It is not true that “no one can speak honestly about race.” Thomas Sowell does that and more in this book of essays. “Facts matter,” he writes in the Preface, especially when they challenge widely held beliefs based on false premises. 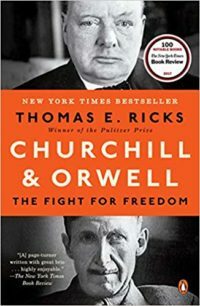 The pairing of Churchill and Orwell in a title attracted this reader’s attention. That they were both superb writers did not seem adequate justification. Thomas Ricks explains that both were dedicated to preserving freedom, albeit in different ways. It is an intriguing title, but the author had to strain to maintain the connection. Orwell delivered a speech on the BBC in 1941 that appears to be a precursor to his novel 1984. Marcia examines the speech and finds some parallels for today and that despite his prescience, Orwell refused to give up on his dream of a socialist utopia. Such is cognitive dissonance. Creighton focuses on the societal and cultural significance of the Buffalo fair but stops just short of drawing unsupported conclusions and says what she has to say in a plausible and thoughtful manner. 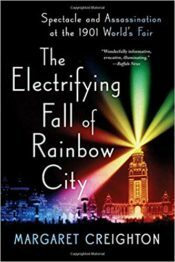 Creighton weaves her observations throughout her tale of assassination, romance, kidnapping, and crazy women riding the rapids of Niagara Falls. And, if that's not enough, there are lions and tigers, elephants, monkeys and socialists. 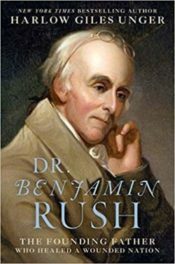 As one of the 56 signers of the Declaration of Independence, Dr. Benjamin Rush qualifies as a Founder. Yet, few people today know his name. That is unfortunate because he was a remarkable man and his memory should be preserved. That is what historian Harlow Giles Unger intended by writing this biography. 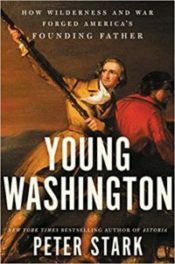 In writing his new book, Young Washington, Peter Stark utilizes an imagination fueled by his experience as an outdoorsmen both prior to, and in preparation for his reconstruction of the man Washington was before he became the man he wanted to me. Today when we commemorate the blessings bequeathed to us by the Founders is a good time to remember that those blessings come with responsibilities. It seems fitting that this should be our annual post on this day.